Laptops have bridged the once gaping specification gulf with desktops considerably. Now there is not nearly so much difference between laptops and desktops in terms of specifications. So laptops are now a viable alternative to desktops when it comes to Windows gaming. However, laptops still get outdated more quickly than desktops because you can’t future proof them by adding new graphics cards. 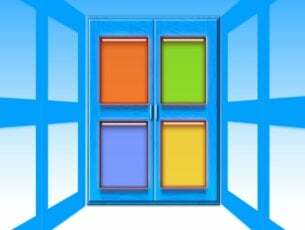 As such, you’ll probably need a new laptop every three or four years to ensure you can still play most of the latest Windows games. With 2019 about to kick off, now might be the time to replace your old laptop so you can enjoy all the latest Windows games in the new year. 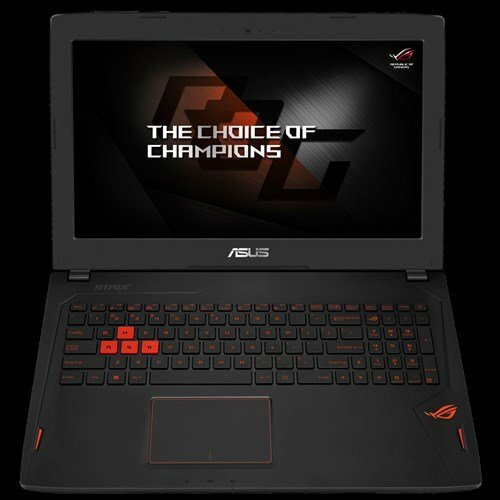 When selecting a new gaming laptop for 2019, the most essential specifications to look at are probably the integrated graphics card (or GPU), display resolution and size and CPU. The graphics card is most essential as that will largely determine the overall graphical quality of the games, and laptops with Nvidia GPUs are probably the best to go for at the moment. You’ll also get the best graphical quality with 4K (3,840 x 2,160) resolution VDUs (Visual Display Units). CPUs are also crucial as they have a big impact on the overall gameplay speed, so it’s best to go for a gaming laptop with a seventh generation CPU that boasts a high clock speed. Also note that the laptop must have a 64-bit processor (and OS) as quite a few of the latest games aren’t compatible with 32-bit platforms. These are a few of the best Windows 10 gaming laptops for 2019. Alienware 17 R4 is the latest in Dell’s Alienware laptop series that supports virtual reality. The laptop has four different models that have slightly variable RAM, graphics card and CPU specifications. 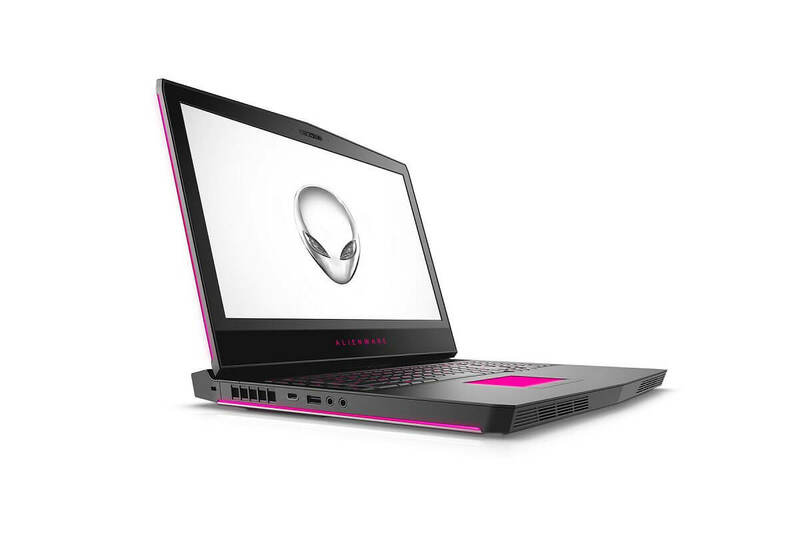 The most basic Alienware 17 R4 laptop is retailing at $1,349.99, but the high-end GTX 1080 Alienware 17 is available at $2,649.98. The Alienware 17 R4 GTX 1080 is a monster of a laptop that provides top-end gaming performance. 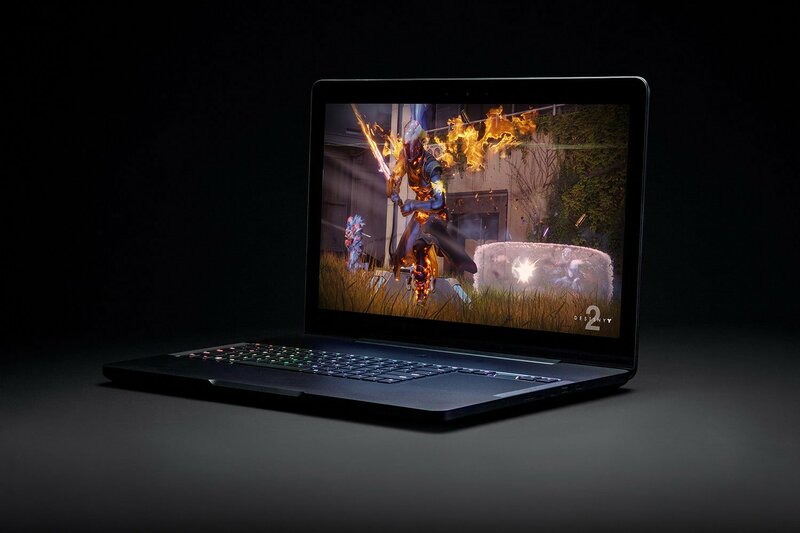 The laptop boasts a Nvidia GeForce GTX 1080 GPU, which is one of the fastest graphics cards at the moment. The best Alienware model has a crisp and colorful 17-inch display with a 2,560 x 1,440 UHD resolution. The laptop includes a i7-7820HK CPU that can overclock at up to 4.4 Ghz, but its average clock speed is about 2.9 Ghz. Furthermore, the Alienware 17 R4 GTX 1080 also includes a whopping 32 GB RAM, which will further ensure fast gameplay. The laptop doesn’t have an especially great battery, but few players leave their laptops unplugged when running games anyway. The New Razor Blade Pro laptop has had some rave reviews as it has a stunning display and a quality design build. The laptop has two models: the Blade Pro (Full HD) and Blade Pro (4K). As you probably guessed, the main difference here lies in their display resolutions; but the Blade Pro (4K) also has more RAM. The Blade Pro 4K is retailing at $3,999.99, but the Blade Pro (Full HD) is currently available at $1,899.99 on Amazon. The standout specification of the New Razor Blade Pro is its stunning 4K (3,840 x 2,160) resolution VDU that few other laptops can match. That is an expansive 17.3-inch display which supports Nvidia G-Sync to minimize tearing. The laptop has the game-changing GTX 1080 graphics card that has amazing frame rates. With an i7-7820HK CPU, this laptop boasts a potential 4.3 Ghz clock speed. This is a VR ready laptop that has plug-and-play compatibility with the foremost virtual reality headsets. In addition, the New Razor Blade Pro has a fully mechanical keyboard with customizable RGB lighting effects, which is a good touch. The ROG Zephyrus GX501 is undoubtedly one of the hottest new gaming laptops that has scored very highly on 3DMark Cloud Gate and Fire Strike Extreme benchmarks. Thus, the GX501 is raising the bar for laptop gaming. The laptop has GTX 1070 and GTX 1080 models that are retailing at $2,099 and $2,697 on Amazon. 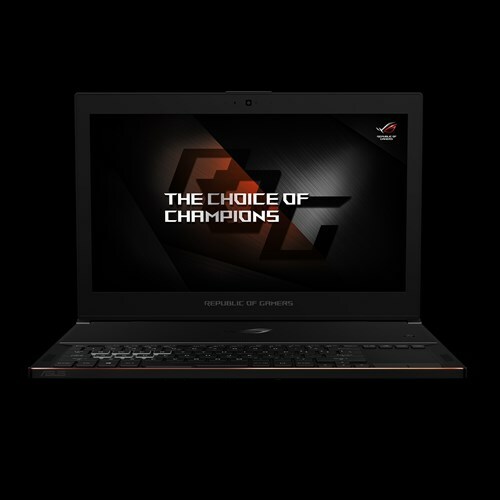 The ROG Zephyrus GX501 is a sleek and lightweight Max-Q laptop that packs in the ground-breaking GTX 1080 GPU. Aside from its innovative design, the GX501 has a 120Hz G-Sync display with a 1,920 x 1,080 (or even 4K) resolution. The GX501 has a great 120 FPS frame rate and supports G-Sync to reduce lag and tearing. In addition, this laptop incorporates a 2.8 Ghz Core i7 processor and 16 GM RAM. Zephyrus GX501 also has some novel features such as its ROG Gaming Centre with which you can customize hotkeys for games, record gameplay, configure audio settings, check system specs and more besides. The laptop includes a Nvidia G-Sync via DisplayPort so that you can connect it with expansive ROG VDUs. Xbox One game streaming is another great GX501 feature, and you can also connect the laptop with Xbox One controllers. The ROG Strix GL502 is a gaming laptop that makes the most of Nvidia’s next generation Pascal graphics architecture. The laptop has GTX 1060 and 1070 models that are retailing in the $1499.99-1,870.99 range on Amazon, which is decent value. ASUS has designed this laptop to be lightweight and portable without seriously compromising gaming performance. The best thing about the ROG Strix GL502 is perhaps its Full HD display that can deliver frame rates in the 60-120 FPS range for games. The VDU has wide 178-degree viewing angles, a 1,920 x 1,080 resolution and G-Sync support to ensure the smoothest gameplay. With an eight GB GTX 1070 graphics card, the Strix GL502 has better visual quality than most laptops. The GL502 also has impeccable audio thanks to its potent built-in speakers. 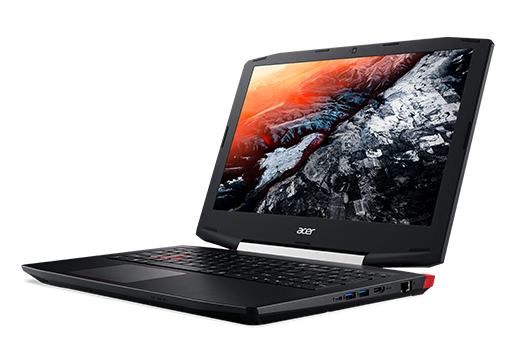 In addition, the GL502 packs in an expansive one TB hard drive, 16 GB RAM and a 2.6 Ghz Core i7-7700HQ processor. The Acer Aspire VX 15 is perhaps the best budget gaming laptop for 2018. The laptop has a few alternative models that are retailing from $949.99 to $1,049.99. As such, this is not one of the highest specification laptops; but it still includes a seventh generation CPU. You can choose an Aspire VX 15 with a Core i5-7300HQ or Core i7-7700HQ processor, and the five alternative models also have variable RAM. As the Aspire VX 15 incorporates the i7-7700HQ CPU, it has a clock speed of 2.8 Ghz. 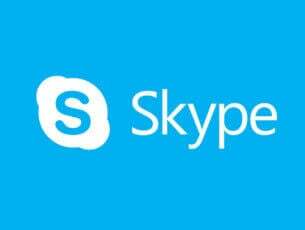 The laptop includes a 1,920 x 1,080 display and can run games at up to 60 frames per second. Although its Nvidia GeForce GTX 1050 Ti four GB graphics card isn’t top-notch, you can still run games many of the latest Windows games at relatively high settings with this laptop. This laptop’s best model comes with 16 GB RAM, and you can expand its RAM to 32 GB. The Aspire VX 15 boasts quality Acer True Harmony and Dolby Audio Premium sound. In addition, the VX 15’s battery can last for up to six hours without recharge, which is somewhat better than the batteries included with the New Razor Blade Pro, GX501 and Alienware 17. The Dell Inspiron 15 7000 is another great value gaming laptop for 2018 that Dell has refreshed with higher specification models. Its basic Full HD model is retailing from just $699 on Amazon. However, it also has a VR ready 4K UHD model with a better graphics card that’s available at about $1,450. The Dell Inspiron 15 7000 is a laptop with a straightforward and stylish design. 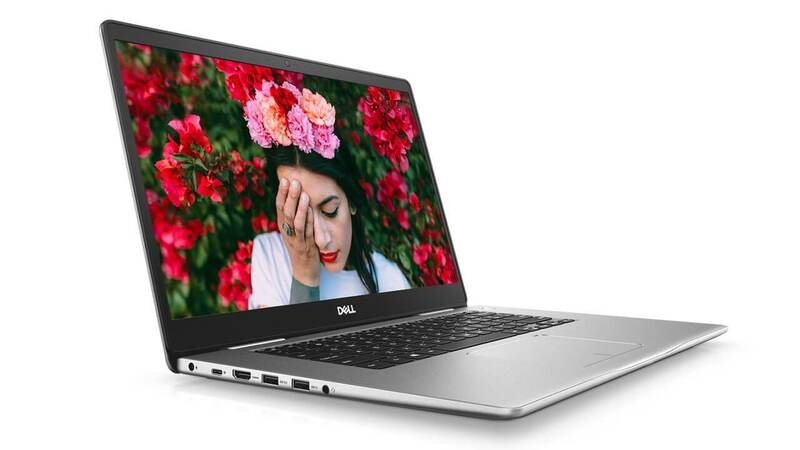 If you go for the 4K UHD Dell Inspiron 15 7000, you’re getting a laptop with a quality 3,840 x 2,160 VDU. Furthermore, the Inspiron 15 7000’s RAM is upgradeable to 32 GB. The highest spec Dell Inspiron 15 7000 includes the Nvidia GeForce GTX 1060 graphics card so that you can utilize VR headsets with it. The laptop supports a range of storage options ranging from 256 GB to SSD up to one TB HDD. The Inspiron 15 7000 also has a terrific battery that can last up to 11 hours, which blows most alternative gaming laptops’ batteries out of the water. This is a 15.6-inch device and it comes with 1920×1080 IPS LCD display. As for the weight, the device weighs about 4.85lb, so it’s relatively light. As for hardware, this model is powered by a 2.3GHz i5-8300H processor. The device has 8GB of DDR4 RAM that should provide you with 32GB/s read and 36GB/s write speeds. It’s worth mentioning that this model supports RAM expansion, so you can have up to 32GB of RAM. Regarding the storage space, there’s a 1TB HDD along with 16GB Intel Optane. As for the graphics, the device uses Nvidia GeForce GTX 1050 Ti graphics with 4GB GDDR5 RAM which should be enough for most of your needs. Regarding the connectivity, we should mention that you can connect two additional monitors to this laptop thanks to the HDMI and Mini DisplayPort 1.2. 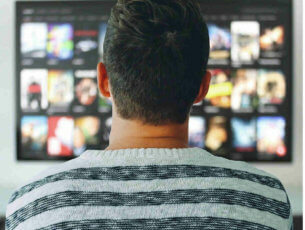 Wi-Fi 802.11ac and Bluetooth v5 are available for wireless connectivity, and there’s also a Gigabit Ethernet port available. As for available ports, there’s a single Type-C USB3.1 Gen 1 port, two Type-A USB3.1 Gen 1 ports, and one Type-A USB 2.0 port. The device also has a built-in card reader. In terms of battery, this model has a 6-cell, 41Whr battery available. 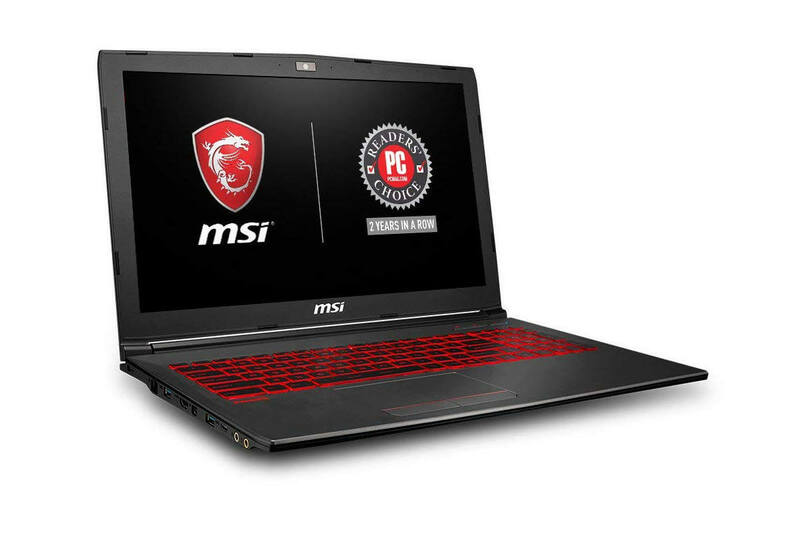 Overall, MSI GV62 8RD is a solid gaming laptop, it offers solid performance and great design, so if you’re planning to purchase a new laptop, you should consider this model. The Acer Predator 17 is a beast of a gaming laptop that boasts generally high specifications. This laptop comes in several variations that are currently retailing from $1,689.99-$1,849.99 on Amazon. The Predator’s various models have variable RAM, graphics card, storage and CPU specifications. 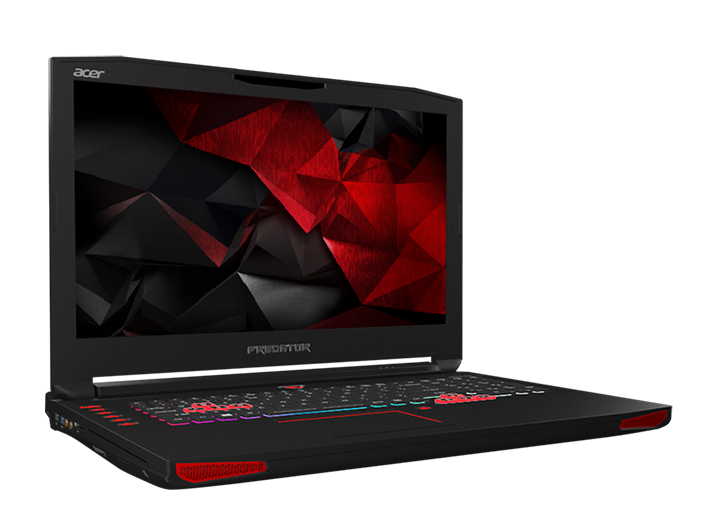 The best Acer Predator 17 model, otherwise the G9-793-70DL, is one of the highest specification gaming laptops around. That laptop includes a speedy 2.8 Ghz Intel Core i7-7700HQ CPU, but that can be faster still with Turbo Boost. It boasts an expansive 17-inch VDU with a super-crisp 4K UHD resolution that displays games with breathtaking detail. The laptop’s Nvidia GeForce GTX 1070 graphics card is an eight GB GPU based on the flagship Pascal architecture. So it’s not entirely surprising that this laptop more than holds its own when benchmarked alongside the likes of the GX501, ROG Strix and Razer Blade. The Acer Predator 17 also comes with a PredatorSense gaming app. That app enables you to select a variety of handy game settings for adjusting keyboard lighting, overclocking the laptop and switching multimedia modes. You can also utilize that app to set up keyboard macro profiles for games. Those are several laptops with which you can certainly play all the latest Windows games throughout 2019 with higher graphical settings. They’re great portable alternatives to gaming desktops that have raised the bar for Windows gaming.